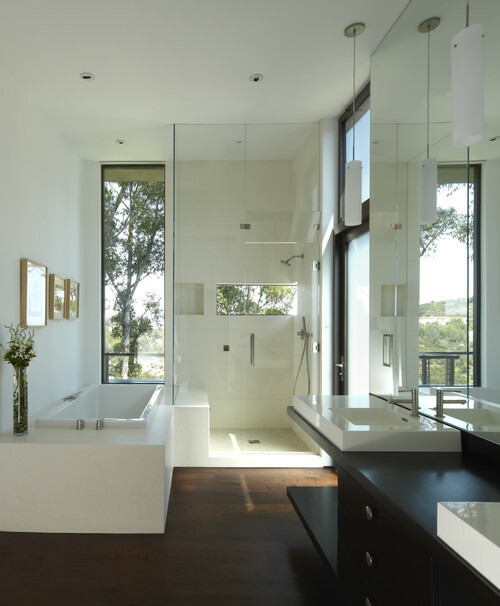 beautiful frameless glass solutions for bathrooms. All opinions are my own. The truth is, I have a crush on frameless glass. 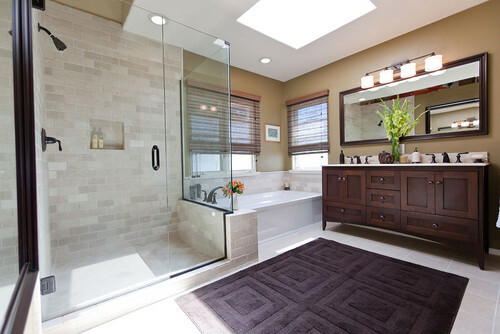 There’s nothing like it for making a bathroom look open and airy and twice the size. In fact, if I could do the whole world a favour, I’d wave a magic wand and make all the clunky shower-trays and phone-box style corner cubicles and aluminium shower frames vanish into thin air. 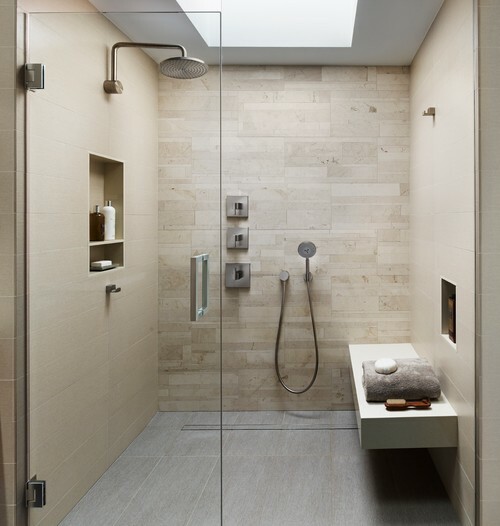 The people having a shower at the time would be quite astonished by this development, but they’d soon realise that frameless glass is the vastly superior choice, and would go back to showering happily whilst enjoying their seamlessly unobstructed view. 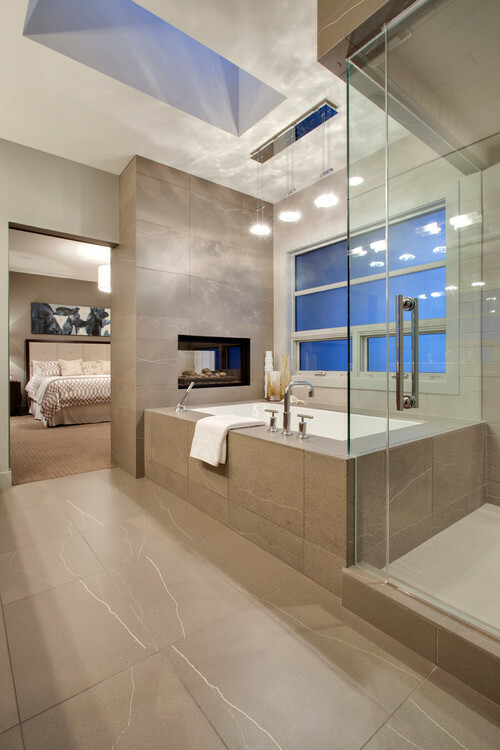 Designers love frameless glass for a reason. In a bathroom, no-one particularly wants to draw attention to the walls of the shower. There are plenty of other beautiful things to focus on – the lovely feature tiles you’ve chosen, that gorgeous freestanding tub, the vanity with those sculptural basins. The beauty of frameless glass is that it’s unobtrusive. The eye travels straight through it. And that’s exactly what you want. 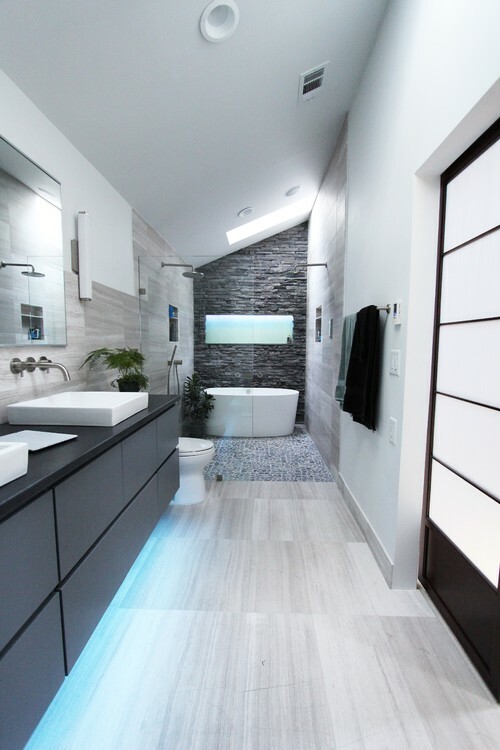 Van Nuys Kitchen & Bath Designers One Week Bath, Inc.
Want more bathroom eye-candy? 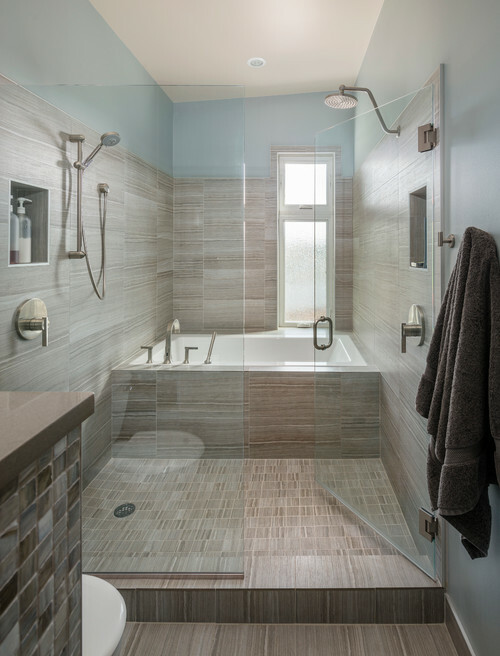 Come take a browse through the shower screen gallery at Ecco Hardware! They also supply glass pool fencing and balustrades. If you’re in the market for frameless glass, you’ll know it’s not cheap, so you want to make sure you’re paying for a quality product. Ecco Hardware offers a lifetime warranty on their products. And they deliver Australia-wide – sweet! Let’s chat: which one of these gorgeous bathrooms is your favourite? Anyone else crushing over frameless glass lately? « “I love you this much” Father’s Day craft! 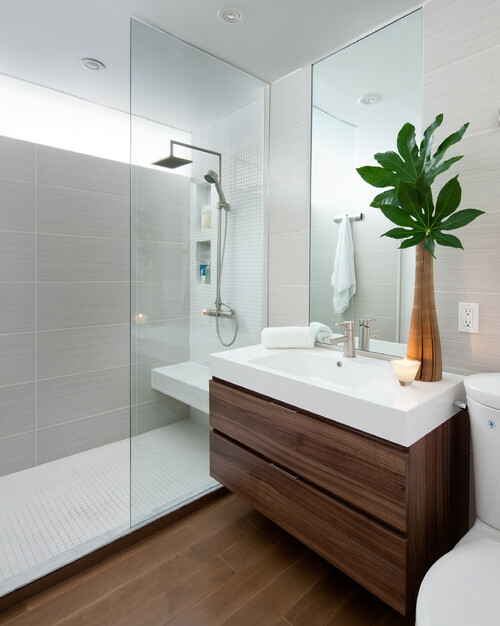 Love the Young House Lover shower and the Decorpad one with the chevron marble floor tiles (picture 14 I think). We are currently trying to figure out how to cram a teesy tiny ensuite into a 1.5m x 1.5m space and one flooring tile with a frameless shower is definitely the way to go though I&#39m sure it&#39s not going to be cheap. 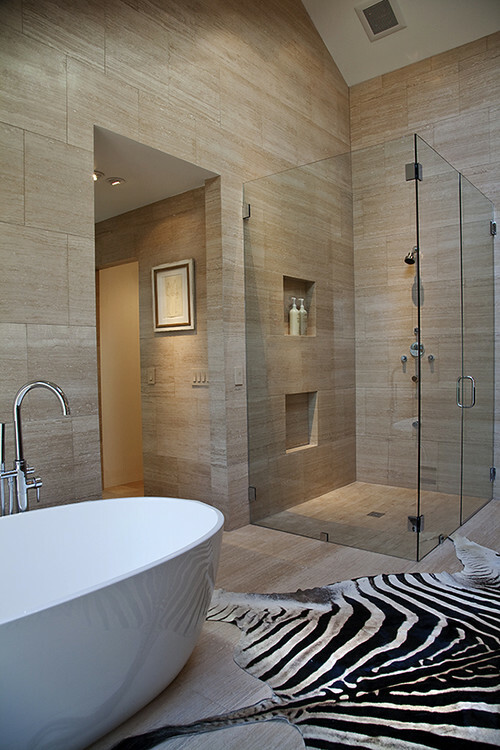 Love the Young House Lover shower and the Decorpad one with the chevron marble floor tiles (picture 14 I think). We are currently trying to figure out how to cram a teesy tiny ensuite into a 1.5m x 1.5m space and one flooring tile with a frameless shower is definitely the way to go though I'm sure it's not going to be cheap. This is so cute! Ever since I can remember, my husband and I would say "I love you this much." We always tried to find cards that have hands spread out or we would draw a line from one end of the card to the other! This is PERFECT for the kids to make for him. Thanks so much for the idea! Yay – I love that this has a special meaning for you guys!